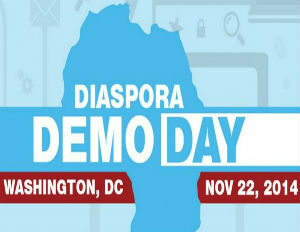 On Saturday Nov. 22, Tiphub hosted its first Annual Diaspora Demo Day African Startup Showcase & Networking Reception at the World Bank in Washington, DC. More than 200 entrepreneurs came together and showcased Africa-centered startups in celebration of Global Entrepreneurship Week. Tiphub is a business consultancy that develops and promotes early stage technology and social impact ventures in African and the African Diaspora. The investors, policy makers, supporters, and entrepreneurs who attended the event showcased startups from Nigeria, Kenya, Uganda, Ghana, and the USA. She Leads Africa and African Technology Foundation hosted in conjunction and also presented opportunities for entrepreneurs to give a six minute pitch to potential angel investors and a panel of industry experts. Along with this exciting opportunity, the event also had a lunch, networking reception and a demo hall. Twenty-one startups were featured among three separate categories. 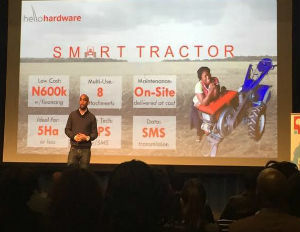 The winner of the Alpha group, which consisted of startups seeking up to $250,000 was Hello Tractor, a company providing affordable equipment to small and average sized farms in West Africa. Coders4Africa, a software development and consulting company focused on Africa and Thando’s Shoes, which gives African artists a platform to design comfortable and reasonably priced women’s shoes, both tied for the Beta category, where the startups were looking to gain $250,000 to $1 million in funding. As for the Delta group, where entrepreneurs were seeking $1 million or more in financial support, Wecyclers won. Wecyclers offers a household recycling service by means of low-cost cargo bikes. Diaspora Demo Day was made possible by the following sponsors: AppsTech, D’USSE, Thoughtworks, Gamerholics, Bingham McCutchen, Market Atlas and Evernote.